Nunlets and Nunbirds are very likely on this tour! 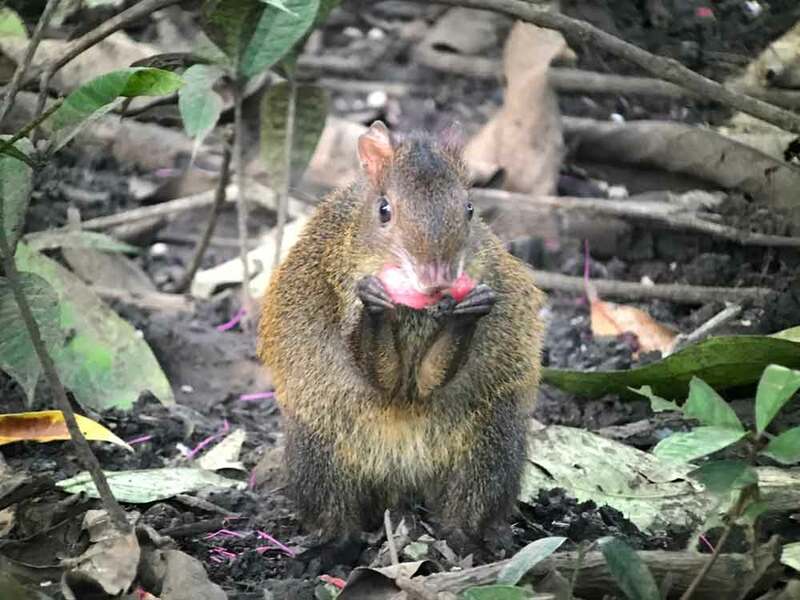 Western Panama encompasses a range of different habitats from tropical lowland forest and mangrove, to forested hills and mountains extending eastward from Costa Rica, containing a heady mix of bird species not seen elsewhere in Panama. 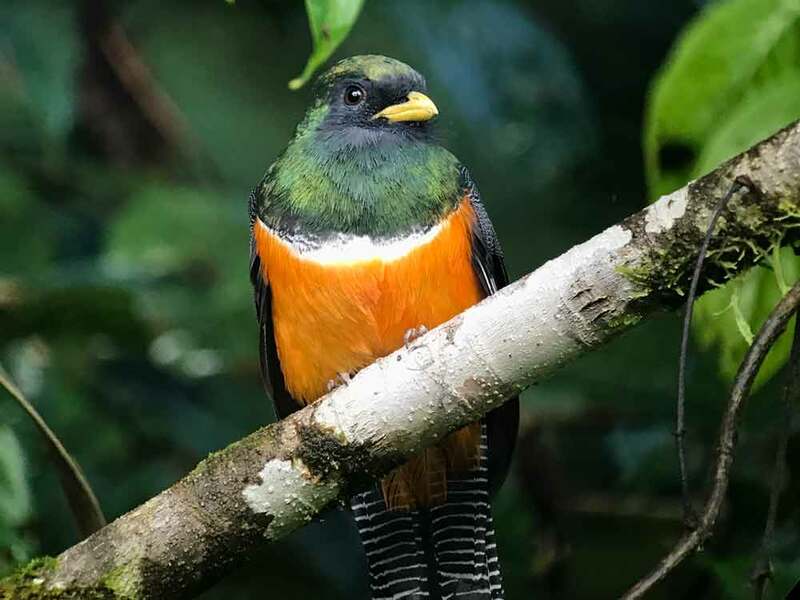 These include the exquisite Resplendent Quetzal, plus tens of species of endemic birds shared only with Costa Rica, such as Sulphur-winged Parakeet, Fiery-billed Aracari, Silvery-throated Jay and Flame-throated Warbler. 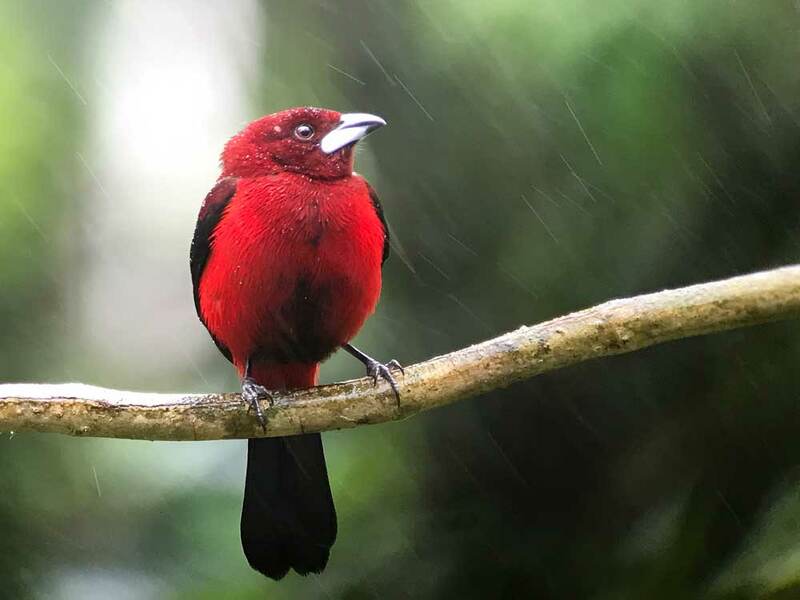 Also awaken to the songs of eastern Panama’s birds: Barred Puffbirds, Rufous-tailed Jacamars, White-headed Wrens and many more that make up a distinct dawn chorus like no other in Panama. 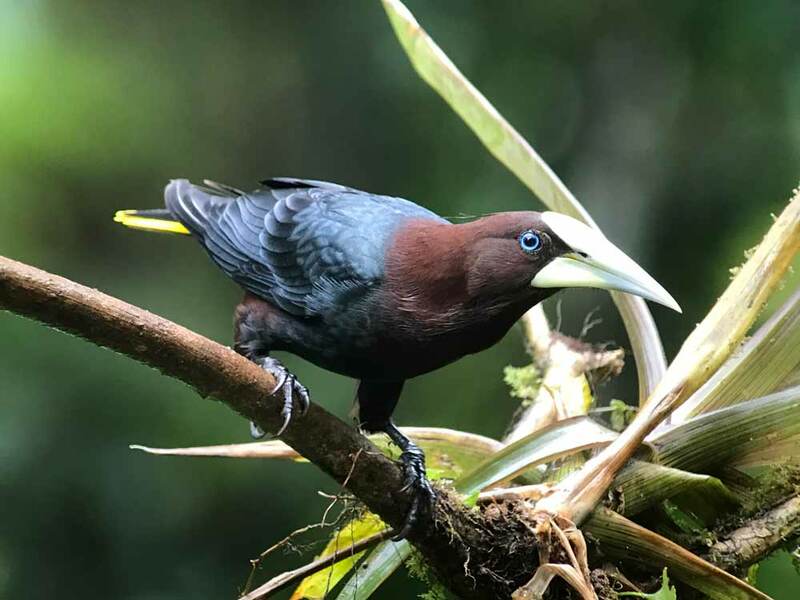 Located in Central America’s most diverse and least-explored region, the Darién province of Panama is a birder’s paradise. 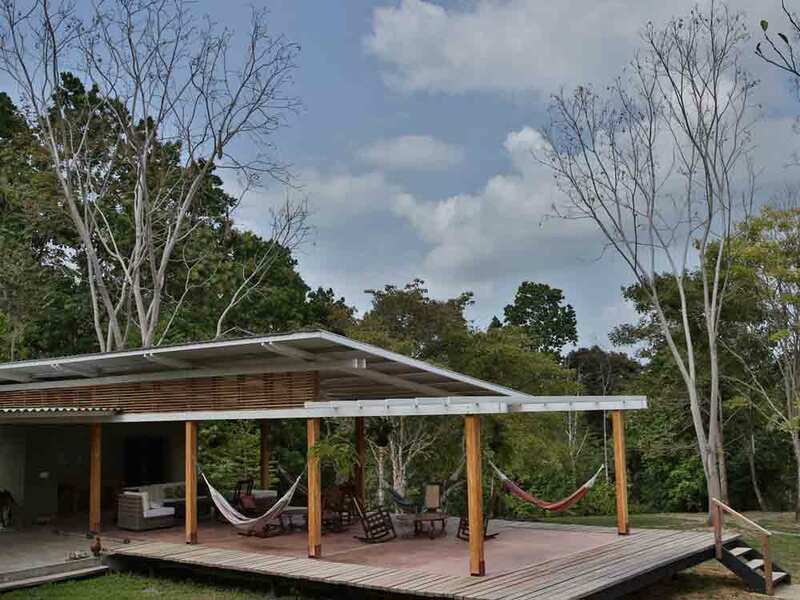 At Canopy Camp situated in the humid lowlands of far eastern Panama, near the end of the Pan-American Highway, you can feel the wilderness around you just a step outside your tent. 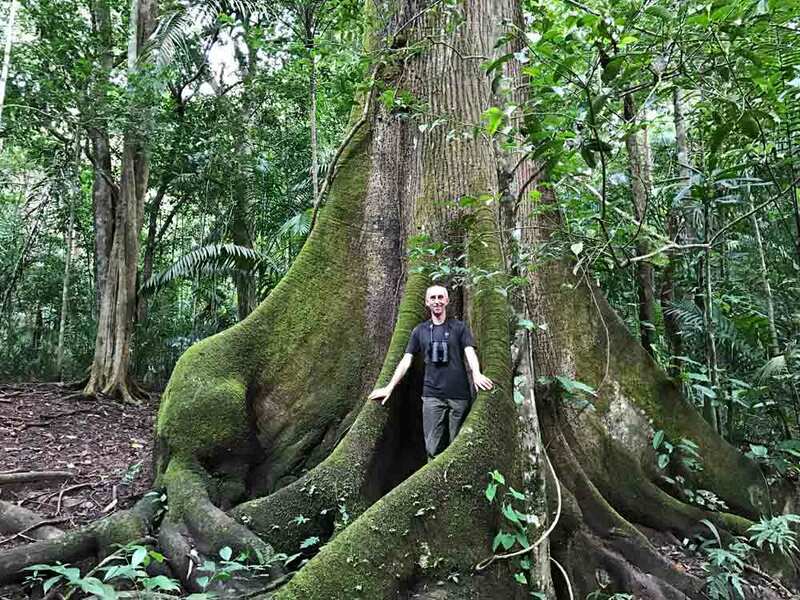 Towering Cuipo trees provide a panorama of Darién and are in clear view above the forest canopy. It is in these enormous rainforest giants that Harpy and Crested Eagles place their nests and raise their young. Both species occur but you will need some luck to see them unless there is an active nest nearby which increases the chance. As you sip your morning coffee listen for the buzzy trills of Golden-headed Manakins lekking in the forests beside the camp. A walk with your knowledgeable guide will be thoroughly awe-inspiring and entertaining. From tiny, colourful poison dart frogs on the forest floor to Red-throated Caracaras in the canopy above, these forests are full of life. Camp in comfort in custom-designed African safari-style tents with all the amenities offered at other eco-lodges run by the Canopy Family. At the end of a day’s exploration settle into your tent and doze off as you listen to the calls of owls, potoos, nightjars and a symphony of frogs. The province of Darién is revered for its incredible wildlife and blessed with an immense expanse of protected rainforest in Darién National Park. However, most of the province has suffered greatly from extensive deforestation as agriculture and cattle are the major sources of income for the people. Canopy Camp has been established in this sensitive area to raise awareness of the potential that ecotourism has for Darién—creating a source of direct and indirect jobs and income for the local people, offering educational opportunities in communities and promoting environmental conservation. The presence of Canopy Camp next to the protected forest of Filo del Tallo Hydrological Reserve (65,000 acres) acts as a deterrent to poachers and loggers and will also contribute to the conservation of this important area. This reserve also provides us with ready access to a mature forest and its wildlife. Darién, as this entire eastern-most region of Panama is called, is perhaps the most diverse and species-rich region of Central America. 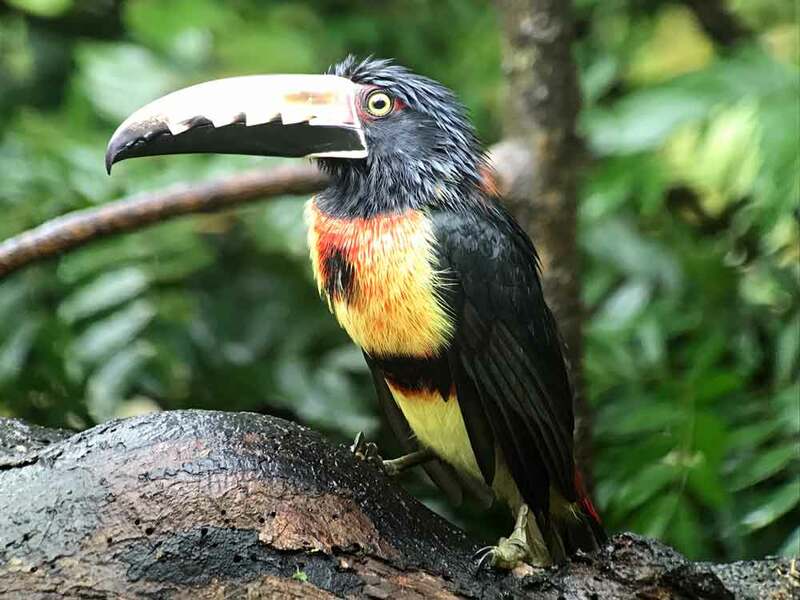 Long coveted by avid birders as an impenetrable haven for rare species, it is now readily accessible by a highway extending through the spine of Panama right into the heart of this bird-rich land. 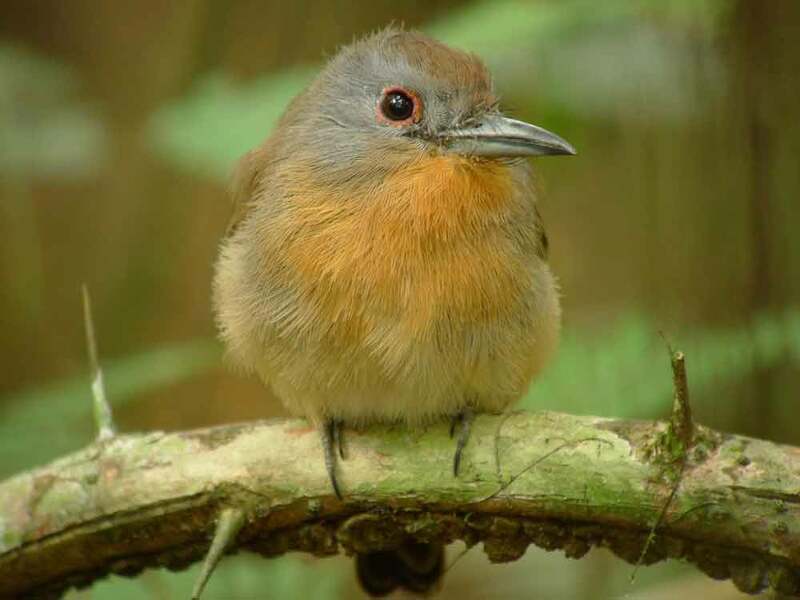 During this exciting, highly recommended 7-night adventure we visit the Bayano Reservoir en route to Canopy Camp to look for such specialties as the starkly beautiful Black Antshrike, Rufous-winged Antwren and stunning Orange-crowned Oriole. 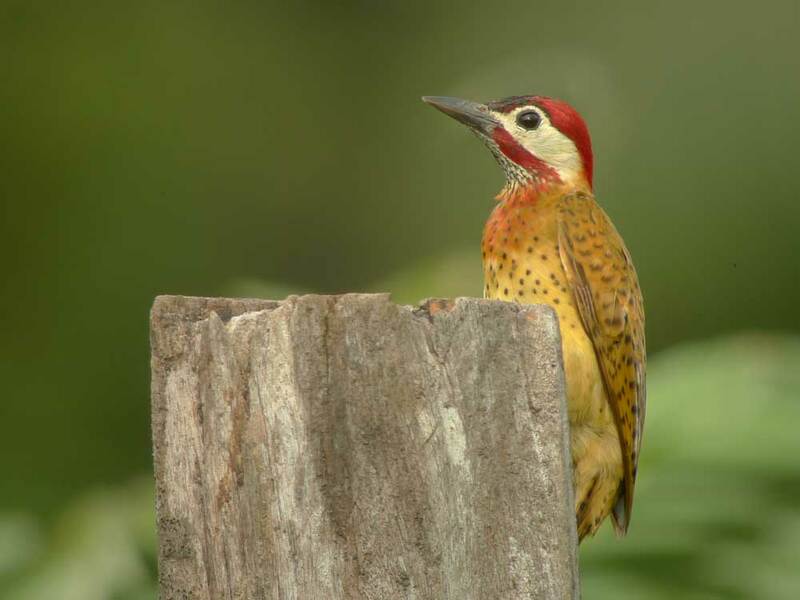 We also visit the swampy meadows along the Pan-American Highway, haunt of the magnificent Spot-breasted Woodpecker. 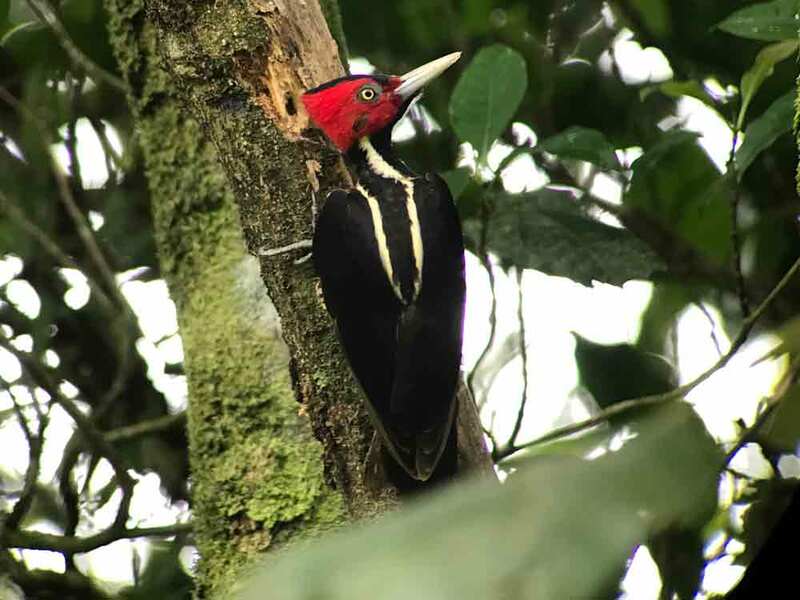 We will enjoy great birding through mature secondary forests, tranquil lagoons, scrubby open fields, roadsides and riversides where we hope to get excellent views of Stripe-throated Wren, Black-collared Hawk, Black-capped Donacobius, Yellow-hooded Blackbird, Large-billed Seed-Finch and others. We will spend our nights at Canopy Camp Darién, enjoying comfortable, large, safari-style tent accommodations, each with full-size beds, private bathroom facilities with refreshing showers, flush toilets, electricity from solar panels, and fans. 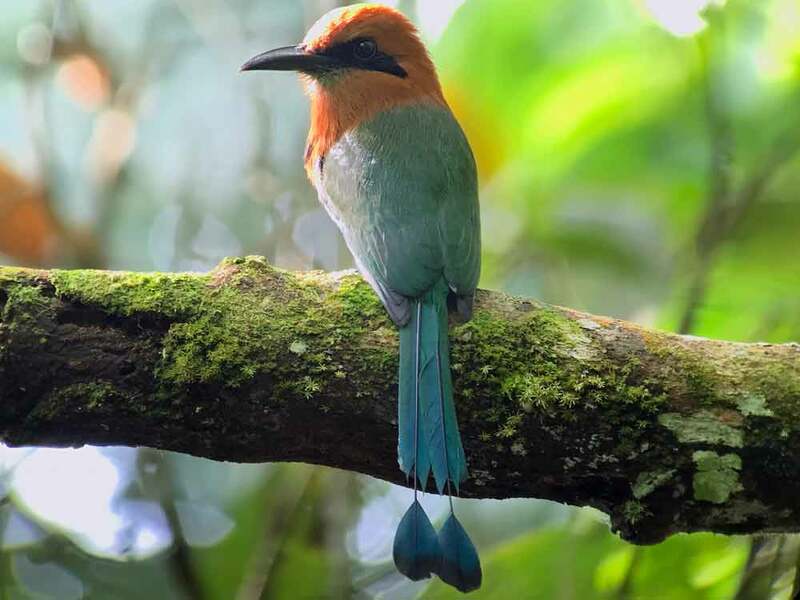 Surrounded by the protected forests of the Filo del Tallo Hydrological Reserve, the camp itself has such regional specialties as Gray-cheeked Nunlet, White-headed Wren, Rufous-tailed Jacamar and Pale-bellied Hermit right in the gardens! 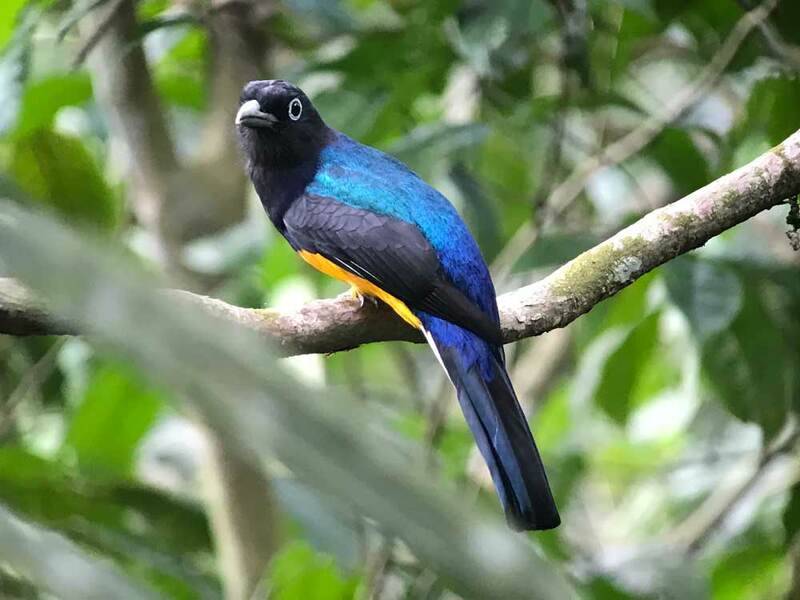 This tour offers other surprises such as Spectacled Parrotlet, Golden-green Woodpecker, Double-banded Graytail, King Vulture and the spectacular Great Curassow! 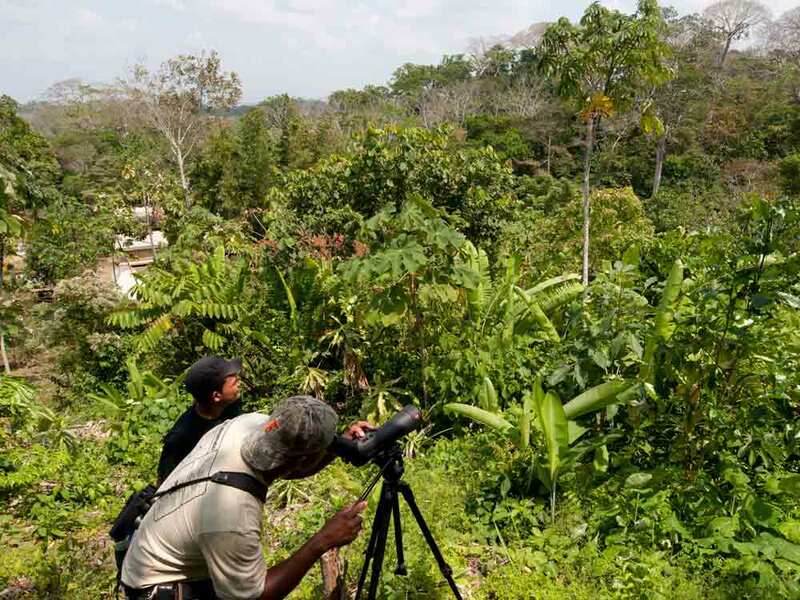 Explore Darién with us; we are sure you will have the birding adventure of your life. For help with your flight arrangements and to receive a no obligation quote, you can complete the enquiry form on our website or call 0800 280 8947 to speak to a flight advisor at StudentUniverse (in partnership with Gapyear.com), part of the Flight Centre Travel Group, a leading retailer of airfares and worldwide flights. If you board a flight from the UK very early morning you may well arrive by the evening into Panama City. On arrival in Panama you will be met at the airport and transferred to Riande Aeropuerto Hotel, just 5 minutes from Tocumen International Airport by hotel transport. 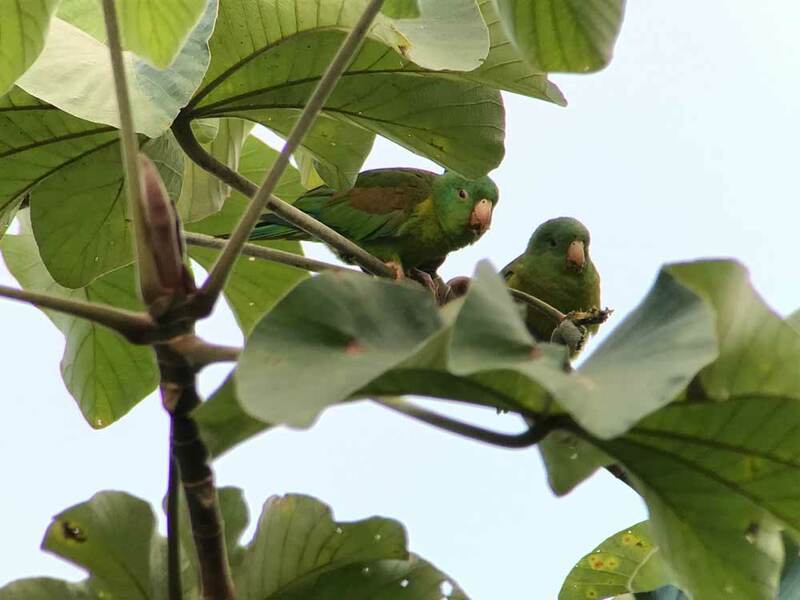 While you acclimatize to the tropical heat and have a cold drink, you can watch the birds in the grounds of the hotel. 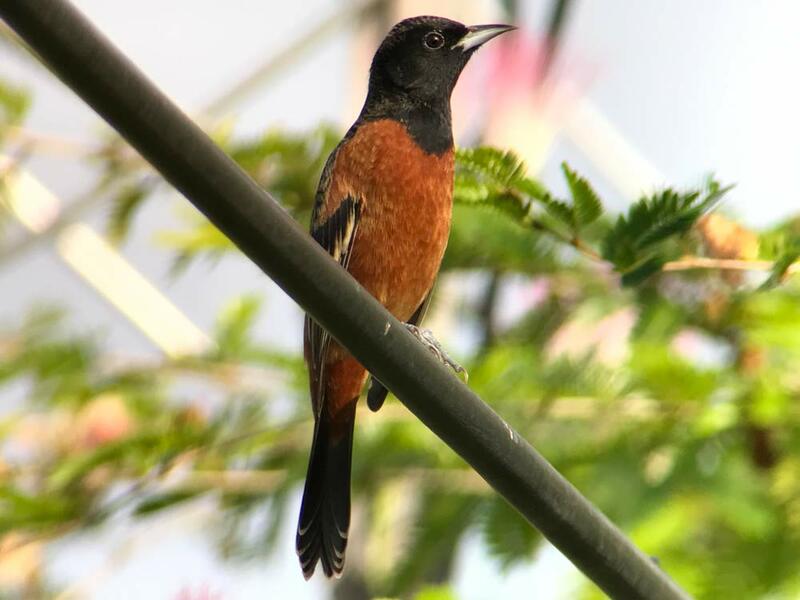 Great-tailed Grackle, Clay-colored Thrush, Variable Seedeater, Rufous-tailed Hummingbird and more await your visit. Today all meals, except dinner will be on your own. Our tour will start the following day, bright and early. This morning you can enjoy a delicious breakfast in the hotel restaurant. Our guide will arrive at 6:15 am to help with any questions you may have, then soon after breakfast we’ll be heading for eastern Panama! The journey to our final destination is approximately 5 hours but we will make stops along the way in exciting birding areas. As we drive east along the Pan-American Highway we will scan for roadside birds and open-field raptors including Savanna Hawk and Northern Crested Caracara. Our first scheduled stop will be at Bayano Lake, a great opportunity to stretch our legs and see what we can find along the lakeside. This reservoir supports great amounts of water birds, including a large colony of Neotropic Cormorants, as well as Anhinga, Cocoi Heron and the rare Bare-throated Tiger-Heron. We will scan the water’s edge for Purple Gallinule, Pied Water-Tyrant, Smooth-billed Ani and Ruddy-breasted Seedeater. 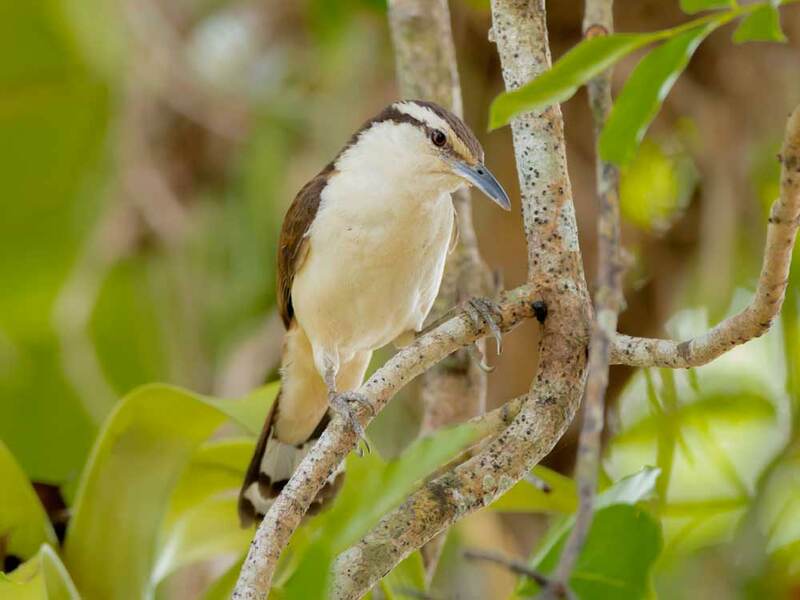 A short trail leading from the water’s edge is a great place to search for Black Antshrike, Bare-crowned Antbird, Rufous-winged Antwren and Golden-collared Manakin. 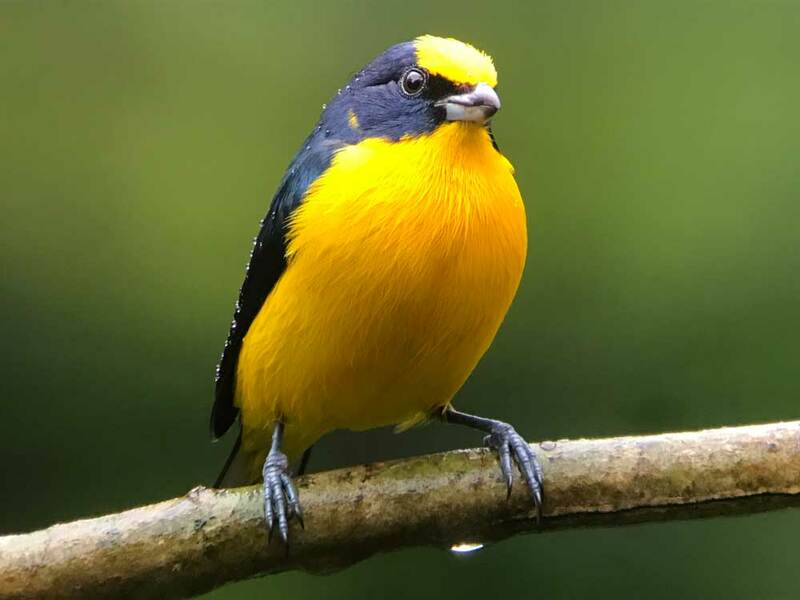 At another great stop along the way, Río Mono Bridge, the surrounding forest is home to One-colored Becard, Black-headed Tody-Flycatcher, Blue Cotinga, Pied Puffbird, Orange-crowned Oriole, Blue Ground-Dove and more. We will also scan the river below for Green-and-rufous Kingfisher and the elusive Fasciated Tiger-Heron. As we enjoy a lovely Panamanian lunch, hummingbirds at the feeders will no doubt capture our attention and Long-billed Starthroat, Sapphire-throated Hummingbird, Scaly-breasted Hummingbird, Black-throated Mango will provide great photo opportunities! Lunch in TORTI. After lunch we will head back to the Pan-American Highway and continue east and on to Canopy Camp Darién to arrive before daylight fades so we can get acquainted with the setting. After a delicious dinner of fresh American and Panamanian fare we will gather to discuss the days to come, then settle into our tents for the night. Dinner at CANOPY CAMP. We will meet before sunrise for a hot drink and to enjoy the sounds of the birds. Yellow-throated and Keel-billed Toucans call from the towering Cuipo trees, Red-lored and Mealy Parrots fly overhead, White-bellied Antbird, Bright-rumped Attila, White-headed Wren and Golden-headed Manakin sing from the surrounding forest while Pale-bellied Hermit and Sapphire-throated Hummingbird visit the flowers. Rufous-tailed Jacamar and Barred Puffbird are also seen frequently around the campsite. We will be served a hearty breakfast at 7:30 am. After breakfast we will work our way into the forest on “Nando’s Trail,” in hope of finding Tiny Hawk, Black Antshrike, Great Antshrike, Olive-backed Quail-Dove, Cinnamon Becard, Black-tailed Trogon, Double-banded Graytail, Gray-cheeked Nunlet, Yellow-breasted Flatbill, Northern Royal Flycatcher and Russet-winged Schiffornis. We will also be looking for groups of Red-throated Caracara, King Vulture and Short-tailed Hawk overhead in the clearings. Ornate Hawk-Eagle, Plumbeous and Zone-tailed Hawks are also possible. Lunch at CANOPY CAMP. After lunch we can enjoy the hummingbirds and other species around the camp, dip our feet into the rocky stream or have a siesta. Then we will head southeast and will explore the forests and swampy meadows along the road toward Yaviza which is about a one hour drive, to the end of the Pan-American Highway. Black-billed Flycatcher, Sooty-headed Tyrannulet, Jet Antbird, Black Oropendola, Pied Water-Tyrant, Bicolored Hawk, Black-collared Hawk, Pearl Kite, White-tailed Kite, Limpkin, Spot-breasted Woodpecker, Ruddy-breasted Seedeater, Yellow-hooded Blackbird, Black-capped Donacobius and Red-breasted Blackbird can all be found as we head farther into Darién today. We will return to camp in time to freshen up for dinner. After dinner we will gather to look for owls, including Striped, Crested, Western Barn, Black-and-white and Mottled owls, as well as Common and Great Potoos and some nocturnal mammals are likely. We will end the day with our checklist, tallying our sightings for the first full day at Canopy Camp. Dinner at CANOPY CAMP. We will meet for an early breakfast, then head to El Salto Road (30 minutes from Canopy Camp) for the morning. It extends 6 km north from the Pan-American Highway and ends at the mighty Río Chucunaque. The open road and surrounding dry forest is a great area to search for regional specialties including Golden-green Woodpecker, Double-banded Graytail, Blue-and-yellow and Chestnut-fronted Macaws, Black and Crested Oropendolas, Blue Cotinga, White-eared Conebill, Black-breasted Puffbird, Orange-crowned Oriole and the majestic King Vulture. A trail at the end of the road will take us into low-canopy forest, where we hope to find Bare-crowned Antbird, Pale-bellied Hermit, Olivaceous Piculet, Streak-headed Woodcreeper and Forest Elaenia. Lunch at CANOPY CAMP. This afternoon we will bird along the road to Las Lagunas which extends 12 km south off the Pan-American Highway through open farmland, dry scrub and roadside habitat. The road eventually crosses a small stream and ends at small ponds. Along the roadsides we hope to find Red-breasted Blackbird, Spot-breasted Woodpecker, Yellow-breasted Flatbill, White-headed Wren, Smooth-billed and Greater Ani, Muscovy Duck, Rufescent Tiger-Heron, Southern Lapwing, Blue-headed Parrot, Striped Cuckoo, Scaly-breasted Hummingbird, Ringed and Amazon Kingfishers, Fork-tailed Flycatcher, Buff-breasted Wren, Bananaquit, Giant and Shiny cowbirds, Crested Oropendola, Laughing Falcon and Aplomado Falcon. If we’re lucky, we may get a glimpse of a Chestnut-fronted Macaw or a shy Little Cuckoo, both having been seen along this road. At the lagoons, we hope to find Pied Water-Tyrant, Capped Heron, the beautiful Yellow-hooded Blackbird and the extraordinary Black-capped Donacobius, a great habitat for all these wonderful species! The drive time this afternoon will be approximately one hour each way. Dinner at CANOPY CAMP. We will meet for an early breakfast at the Canopy Camp. This morning we bird Quebrada Felix, just 30 minutes for Canopy Camp and nestled at the base of the Filo del Tallo Hydrological Reserve. 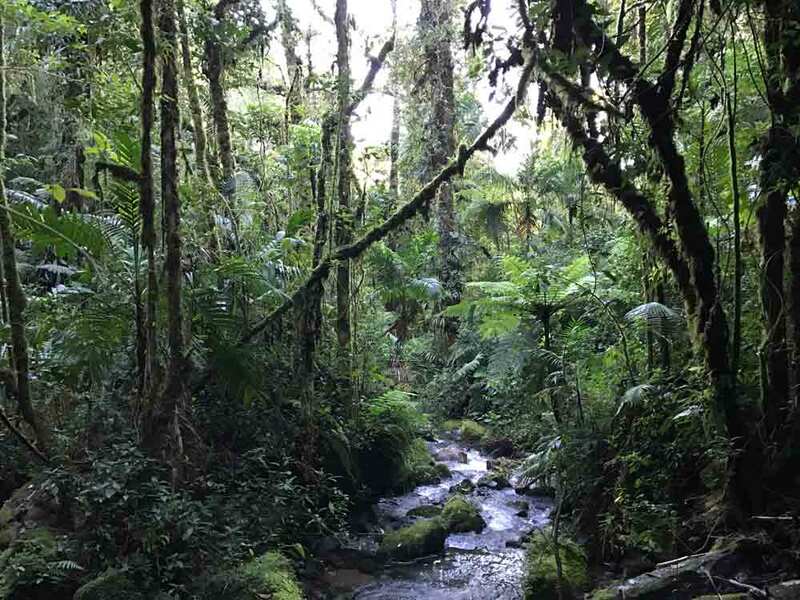 Surrounded by tall trees and mature lowland forest, we will walk the rocky stream in search of some of Panama’s most wanted species, trying for Black-crowned Antpitta, Scaly-throated Leaftosser, Speckled Mourner, Ocellated Antbird, Rufous-winged and Moustached Antwrens, White-fronted Nunbird, Wedge-billed Woodcreeper, Royal Flycatcher and our endemic, the Stripe-cheeked Woodpecker. 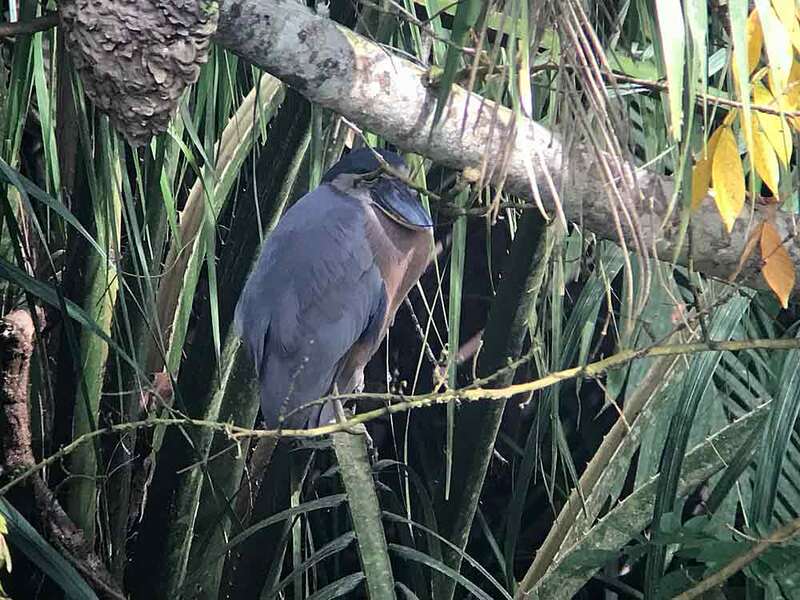 It is also a great spot to find Fasciated Tiger-Heron, Green-and-rufous Kingfisher, Bicolored Antbird, Golden-crowned Spadebill, Double-banded Graytail and much more. Crested and Solitary Eagles have even been spotted here, a great testament to the mature forest of the area. Quebrada Felix is becoming a favorite spot among our guides and recent visitors! Lunch at CANOPY CAMP. This afternoon we explore the open areas and mixed forests of Lajas Blancas, the closest Embera indigenous community to the Canopy Camp with a population of over 1000 residents. Just 15 minutes away, the area around the community boasts great birding and the opportunity to find many Darién specialties! 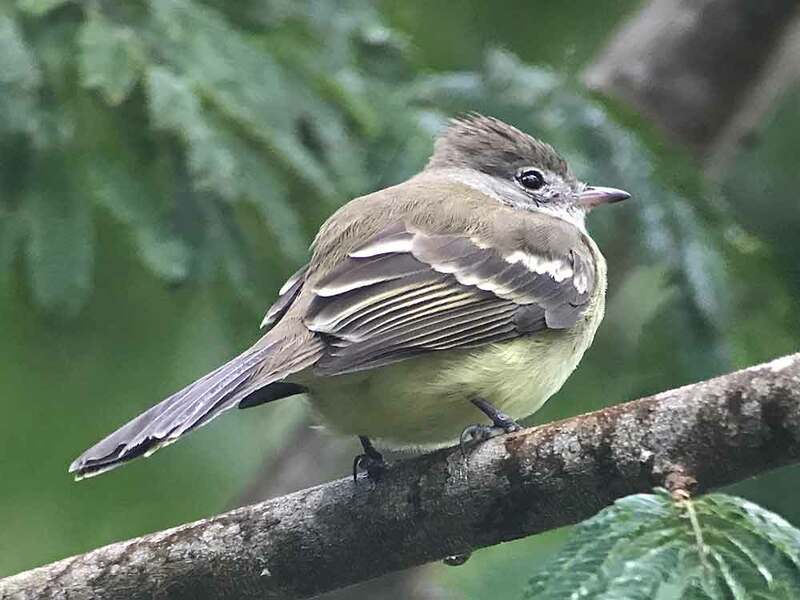 After turning off the Pan-American Highway, we drive through pasture and open farmland—a great place to see One-colored Becard, Great Potoo, Spot-breasted Woodpecker, Yellow-crowned Tyrannulet, Yellow-breasted Flycatcher, Black Antshrike and Black Oropendola. During the dry season, a bridge across the Chucunaque River provides us easy access to some mature secondary forest where Double-banded Graytail, Rufous-tailed Jacamar, White-winged and Cinnamon Becards, Cinnamon and Golden-green Woodpeckers, manakins and others can be found. Beyond the community, the road continues and there is much more forest, including primary forest at its far reaches, waiting to be explored. Dinner at CANOPY CAMP. We will awake once again to the energetic dawn chorus of oropendolas, wrens, antbirds, manakins, parrots and toucans as the sun rises over eastern Panama. After a satisfying breakfast we will once again leave the Canopy Camp for a morning filled with great birds! We head for Nuevo Vigia, an Embera village nestled north of the Pan-American Highway, surrounded by secondary growth dry forest and two small lakes, all of which attract an enticing variety of birds. The village is accessible by “piragua”, the locally-made dugout canoe. As we coast along the Chucunaque and Tuquesa Rivers we will keep our eyes and ears open for Chestnut-headed, Crested and Black Oropendolas, Spot-breasted Woodpecker, Common Black Hawk, Yellow-tailed Oriole, Red-billed Scythebill, Capped and Cocoi Herons, White Ibis, Greater Ani, Solitary Sandpiper and other water birds. The majority of the morning’s birding will be spent at the lakes, good for Black-collared Hawk, Bare-crowned and White-bellied Antbirds, Green Ibis, Grey-cheeked Nunlet, Spectacled Parrotlet, Black-tailed Trogon, Striped Cuckoo, Black-bellied Wren, Little Tinamou, Golden-green Woodpecker and Green-and-rufous Kingfisher! In the village of Nuevo Vigia, local artisans weave colourful, decorative masks and plates from palm fronds and carve cocobolo wood and tagua nuts into animals and plants; we will have the opportunity to meet some of the community members and admire (and purchase if you wish) some of the beautiful hand-made products. We will enjoy a satisfying picnic lunch in the village, followed by more great birding around the riversides and scrubby habitat surrounding Nuevo Vigia before heading back to the Canopy Camp. Picnic lunch will be at NUEVO VIGIA and dinner will be back at CANOPY CAMP. 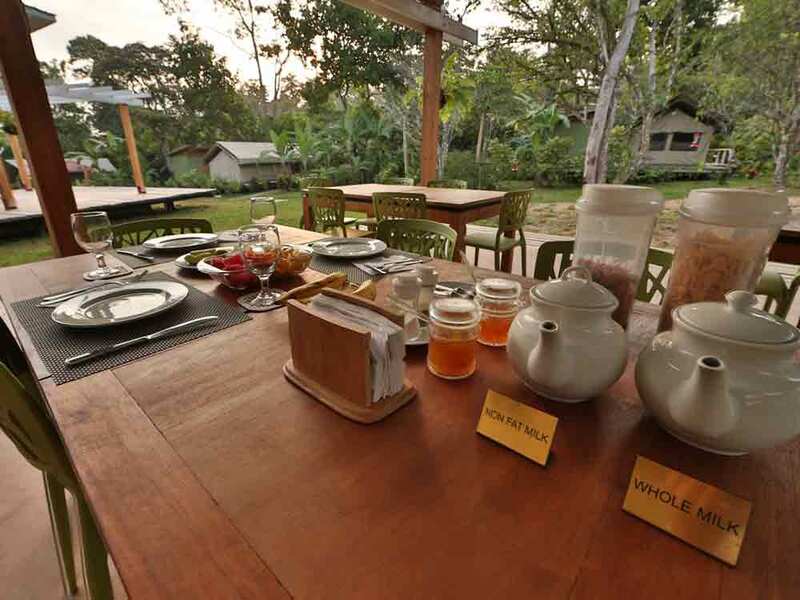 We enjoy breakfast and the birds at Canopy Camp as the sun rises. This morning we drive for 45 minutes toward Yaviza once again to the property of Aligandi. This is a huge area with unique scrub forest and much to be explored. We head out from the Camp toward the end of the Pan-American Highway, taking a turn prior to reaching Yaviza. Along the roadsides here, we scan for Red-breasted Blackbird, Striped Cuckoo, Ruddy-breasted Seedeater, Thick-billed Seed-Finch, American Kestrel and other open area birds. A Great Green Macaw nest is tucked up in the canopy of a huge Cuipo tree, visible from the road, and if lucky, an adult or a chick may be seen poking its head out of the cavity. At Finca Doncella, we continue on foot along the road through the scrub forest, seeking out Spot-breasted Woodpecker, Bat Falcon, Giant Cowbird, Orange-crowned Oriole, Red-billed Scythebill, White-eared Conebill and mixed feeding flocks. It is possible to see the macaws fly over as we further explore the area. Lunch at CANOPY CAMP. Among all the fantastic birding sites we have visited this week, the Canopy Camp grounds and trails merit some more exploration as well! This afternoon is ours to enjoy the nearby trails accessible from the lodge, the verbenas will be full of hummingbird and butterfly activity and we hope to see Violet-bellied Hummingbird, Pale-bellied Hermit, Long-billed Starthroat, Blue-throated Goldentail and if lucky, a stunning Ruby-topaz Hummingbird feeding here. Barred Puffbird, Spot-crowned Barbet, Olivaceous Piculet, White-headed Wren, King Vulture, Red-rumped Woodpecker and Streak-headed Woodcreeper are birds we may encounter this afternoon. If desired, we can hike up the slope to stand in the shadows of two giant Cuipo trees, standing like gates to rich mature forest. Later in the afternoon we meet again to review our checklist and enjoy cocktails as the sun sets for the day. We’ll have our final dinner together and once again listen for the calls of owls and night birds around the camp after dark. Dinner at CANOPY CAMP. We will wake before dawn to pack and have an early breakfast, say our goodbyes to the Canopy Camp, and start our journey back to Panama City. After driving approximately 2 1/2 hours we will stop at San Francisco Nature Reserve and spend the morning in this private forest reserve owned and managed by the St.Francis Foundation, covering 1,300 acres in eastern Panama Province. 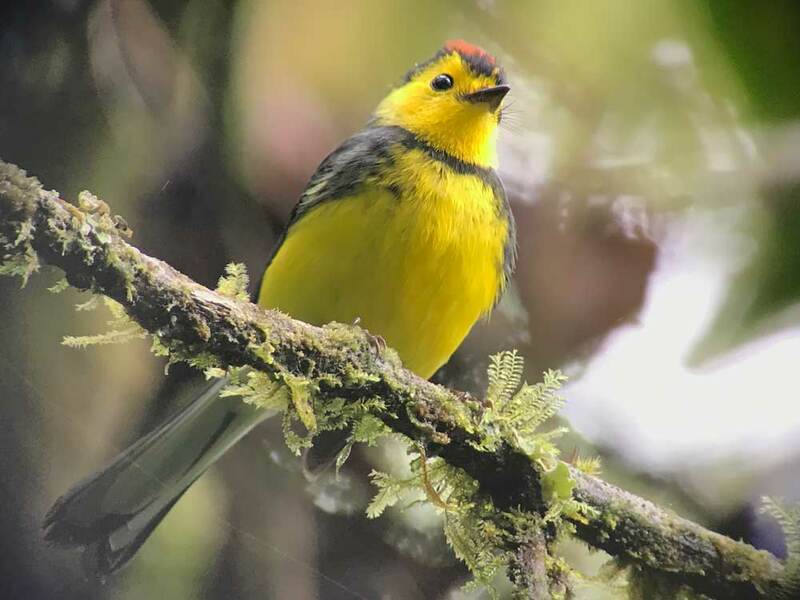 The reserve was established in 2001 by Father Pablo Kasuboski, an American priest from Wisconsin who came to Panama in 1988, and it serves as a wildlife refuge and protects the headwaters of the main rivers of the area. The foundation created by Padre Pablo, as Father Kasuboski is called, also works on infrastructure development in the area by building and maintaining aqueducts, roads, schools and churches. In fact, the St.Francis Foundation built and maintains the largest private rural aqueduct in all of Panama and Central America. The reserve has a variety of habitats including primary, secondary and riparian forests, forest edge, fields, farmland, ponds and wetlands. During our morning here we will explore some of these habitats along the short road that enters the reserve and hope to find Great Jacamar, Broad-billed Motmot, Collared Aracari, Russet-winged Schiffornis, Northern Royal Flycatcher, White-fronted Nunbird, Brownish Twistwing, Panamanian (Yellow-green) Tyrannulet, Central American Pygmy-Owl, Blue and Plain-breasted Ground Doves and, if we’re very lucky, a Black-and-white Hawk-Eagle soaring overhead or find a Wing-banded Antbird along the trail! Lunch in TORTI. After lunch we head back to Panama City to connect with a flight to David (booked by you). Note: If you are unable to book an appropriately timed flight this afternoon to David, we can provide a supplement for an extra night in Panama City to allow you to connect with a flight to David the following morning. Our price assumes you will reach David this evening and take the transfer today to Los Quetzales Lodge. Flight options include Copaair (flight no. CM20) departing at 1226 and arriving in David at 1347 hours, though you may require a later flight. Los Quetzales lodge in Cerro Punta will arrange for your driver to be at David Airport waiting for you with your name on a placard. You will have an emergency 24/7 number, just in case you have difficulty locating the driver, though this shouldn’t be the case. Expect the drive to take around 1 hour and 30 minutes. Please expect to pay this driver directly $50 in total each way for the transfer. Your stay at the lodge is in a room in the main lodge in the town. This is the basic category and there are options to stay in a cabin if you would prefer – please ask for a supplement. Your stay here is on a bed and breakfast basis without transport. There are several places you can choose to eat locally or at the lodge itself. Our price excludes the cost of a bird guide as many birders like to explore without assistance. However, if you feel you would like to have some guiding on some of the days we can book an exclusive guide for you in advance, or you can speak to the lodge staff who will be able to arrange local walks with a guide on a shared basis and for this you would need to pay the lodge directly. Any entrance fees from this point on are payable directly. You should arrive at Los Quetzales in late afternoon which will, should you wish, allow some time to bird the environs of the lodge. 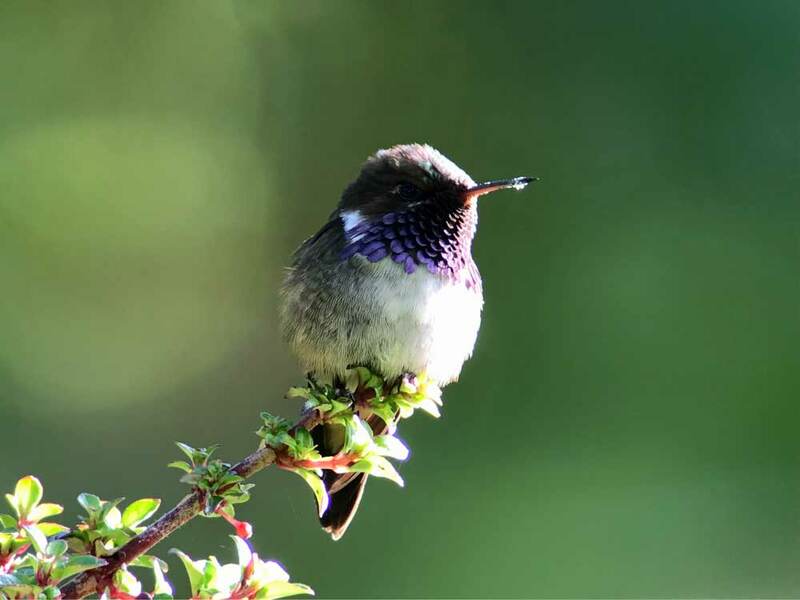 Strategically placed hummingbird feeders offer point blank views of Violet Sabrewing, Stripe-tailed and Snowy-bellied Hummingbirds, Lesser Violet-ear, and Scintillant Hummingbird. The gardens surrounding the lodge contain a mix of open grassy areas, flowering bushes, and other varied habitats. 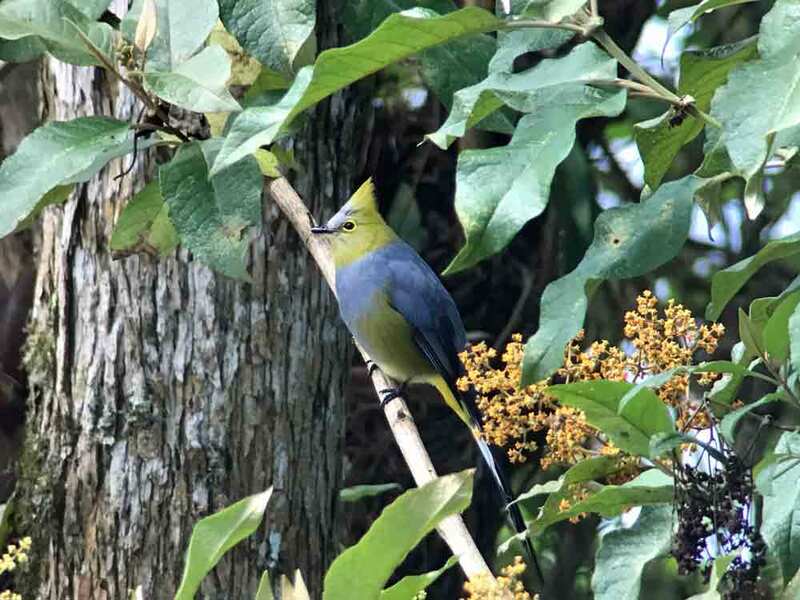 Expect to see species such as Band-tailed Pigeon, Long-tailed Silky-flycatcher, Slaty Flowerpiercer, Mountain Elaenia, Brown-capped Vireo and Thick-billed Euphonia. After breakfast, take a packed lunch (payable directly) and head off into the trails of adjacent La Amistad National Park (entry on direct payment – no guide is included in our main price). Los Quetzales Lodge has some cabins located in the forest at the edge of the National Park, about a 20min walk from the Lodge. Maps of how to access the cabins and the trails that lead from them into the forest are available from the Lodge. 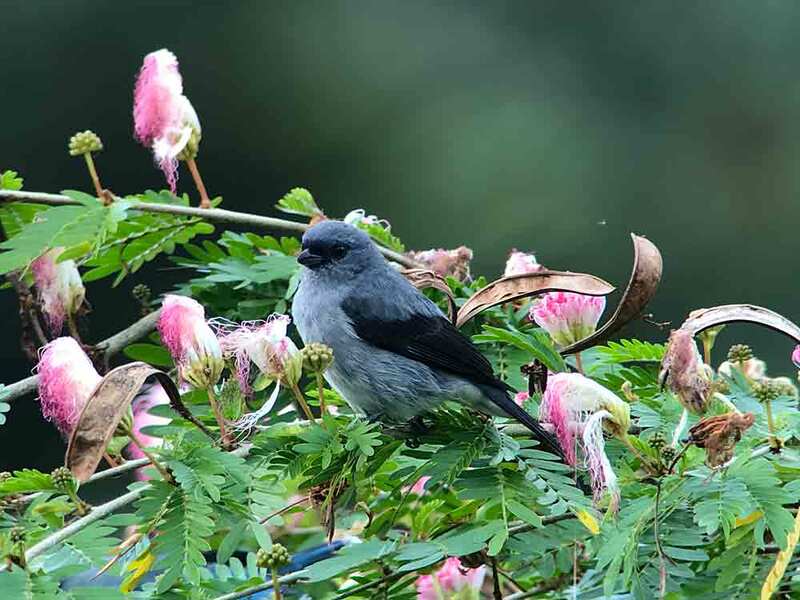 Keep your eyes open for birds such as Admirable Hummingbird and Yellow-bellied Siskin as the track passes through a patchwork of small fields of vegetables and scrubby patches, before reaching the forest proper. There is one small stream to wade across when first entering the forest (wellington boots can be borrowed from Los Quetzales lodge if you wish). Beyond this, the trail leads upwards with offshoots every now and again to isolated cabins. Apart from the area around the widely scattered cabins (which is all well worth birding), there are two main trails. To the west (left, when walking in from Los Quetzales), is the Waterfall trail. This is a loop trail and only for the fit and agile. It is less good for birds, probably mostly due to the noise of the stream and associated small waterfalls. Much better is the eastern (right-hand) trail, which climbs slowly higher into the forest, eventually reaching a viewpoint overlooking a small waterfall and pool. 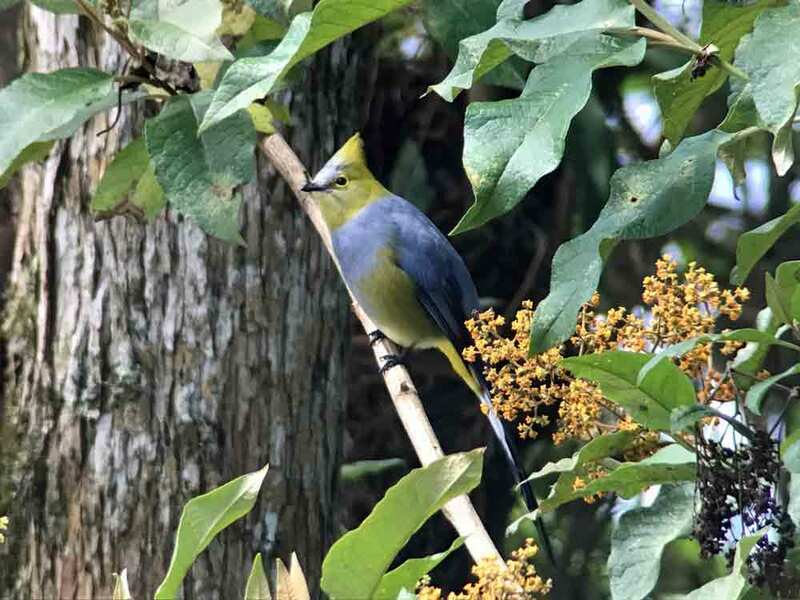 Birds may include Green-fronted Lancebill, Prong-billed Barbet, Buffy Tuftedcheek, Yellow-winged Vireo, Black-and-yellow Phainoptila, Ochraceous Wren, Black-billed Nightingale-Thrush, Mountain Thrush, Golden-browed Chlorophonia, Flame-throated Warbler, Black-cheeked Warbler, and Collared Whitestart. After an early breakfast, meet up with your guide who will take you by vehicle into nearby Volcan Baru National Park. Volcan Baru is the highest mountain in Panama at 11,401 feet, and you will stop at various points on the track to bird areas at different elevations, eventually reaching a ranger station high on the forested slopes (though several thousand feet below the summit), where you will be able to explore trails into the forest. Flowering bushes in the open areas around the ranger station are likely to give stunning views of the exquisite little Volcano Hummingbird. Other species to be encountered may include Resplendent Quetzal, Blue-throated Toucanet, Fiery-throated Hummingbird, White-throated Mountaingem, Ruddy Treerunner, Silvery-fronted Tapaculo, Black-capped Flycatcher, Black-faced Solitaire, Black-billed Nightingale-Thrush, Wrenthrush, Large-footed Finch, Yellow-thighed Finch, and Sooty-capped Bush Tanager, amongst others. Take lunch at a local restaurant (payable directly). After lunch, with your guide you could visit Las Lagunas, an area of forest surrounding two lakes a short distance from the town of Volcan, which is located a few kms from Los Quetzales. Just prior to reaching Las Lagunas, birding along the track which runs adjacent to grassy fields may well produce species such as Slaty, and Red-faced Spinetail, Chiriqui Yellowthroatand Crested Oropendola. The thick forest surrounding the lakes at Las Lagunas is home to a whole host of good birds such as Green Hermit, Fiery-billed Aracari, Spotted Barbtail, Bran-coloured Flycatcher, Silver-throated Tanager, Cherrie’s Tanager, Red-crowned Ant-Tanager, plus a range of wood-warblers likely to include Tropical Parula, Golden-crowned Warbler and Slate-throated Whitestart. Meals: Packed breakfast (you’ll need to ask the lodge if they can supply a few items or alternatively you can purchase from a shop just one minute walk from your lodge). Should you wish to, a very early start would be beneficial today to ensure arriving on top of the Continental Divide on Fortuna road for dawn (a 2.5hr drive). The forested hills through which you will be birding are located in the south eastern part of the huge La Amistad National Park. In migration season Fortuna road is an excellent place to observe migrating raptors. You will stop and bird at a number of locations at varying altitudes, and will be searching for species such as Black Guan, Black-bellied Hummingbird, White-bellied Mountaingem, Crowned Woodnymph, Orange-bellied Trogon, Sulphur-winged Parakeet, Silvery-throated Jay, Golden-bellied Flycatcher, Black-eared Warbler, Blue-and-gold Tanager, Spangle-cheeked Tanager, Emerald Tanager and Black-and-yellow Tanager, amongst many others. Eventually descending to the Caribbean lowlands you will bird along quiet side-roads through open woodland, scrub and marshy fields. 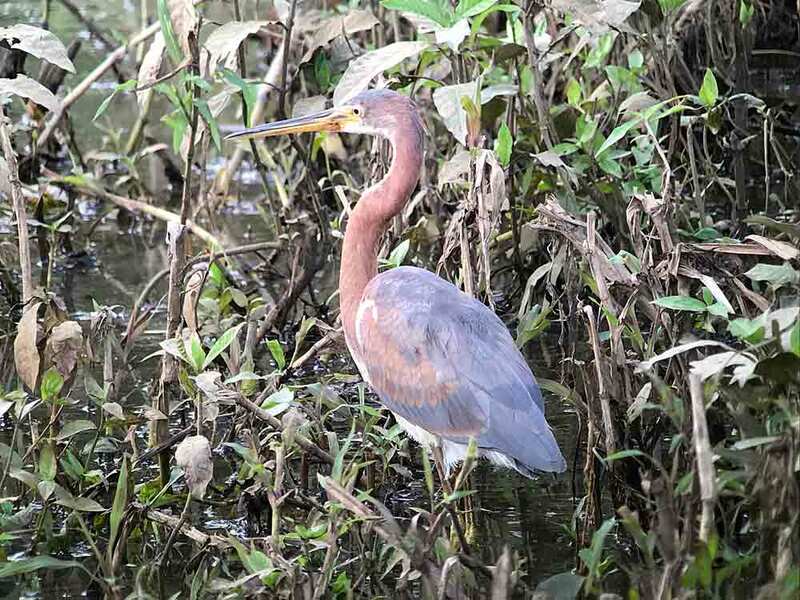 The fields are likely to provide opportunities to view a variety of waterbirds including Northern Jacanas, various egret and heron species, as well as some passage waders. 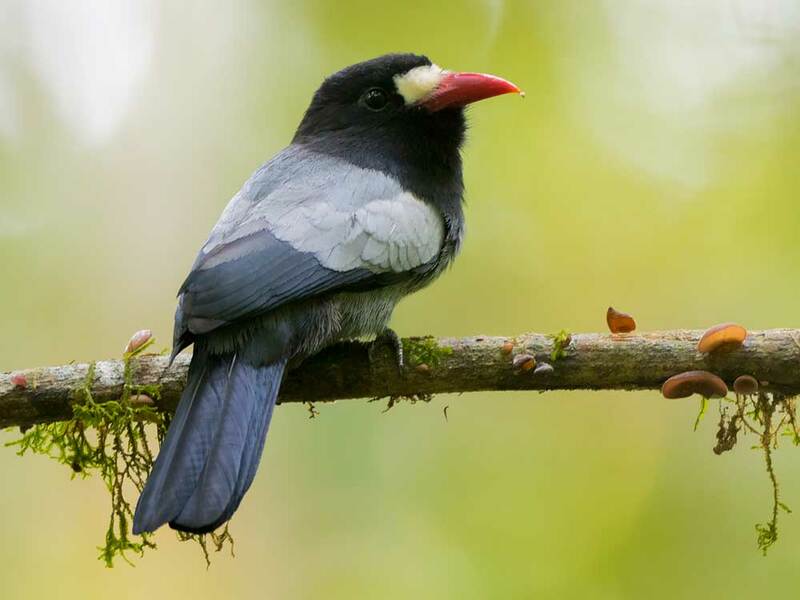 The woodland should include species such as Lineated Woodpecker, Brown Jay, Band-backed Wren and Olive-backed Euphonia. 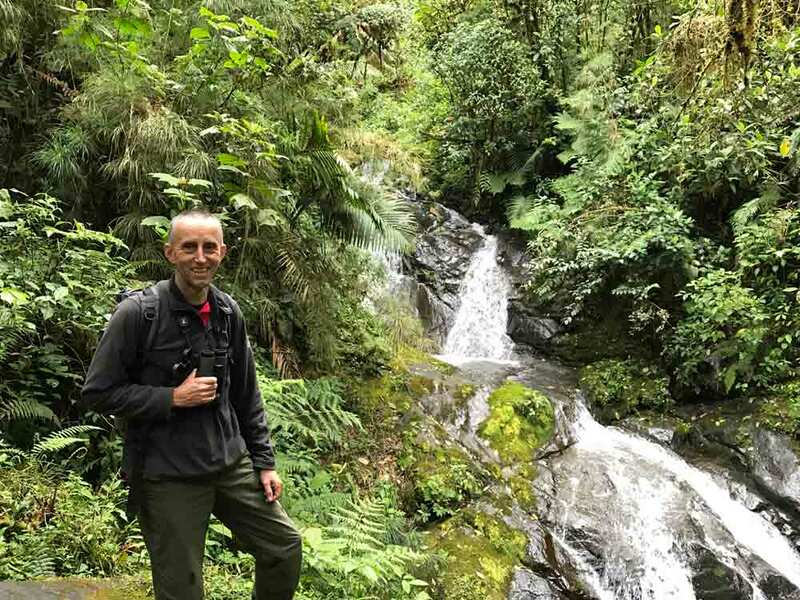 After lunch at a local restaurant (payable directly) the afternoon will be spent ascending back up Fortuna road into La Amistad National Park to look for species missed earlier, before driving back to Los Quetzales lodge at the end of the afternoon/early evening. 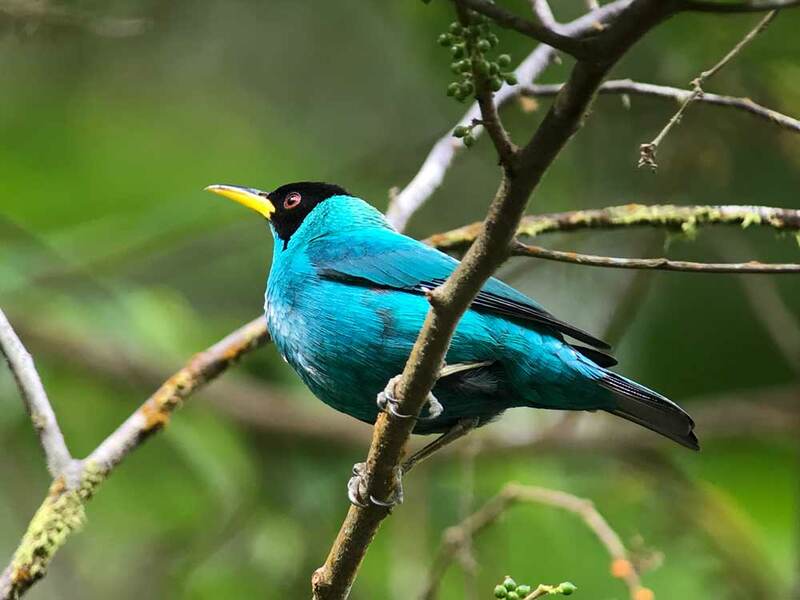 Los Quetzales lodge staff will be able to order you a taxi (payable directly), or we could book a guide for your on an exclusive basis for extra payment, to take you the 10 min drive to the main entrance to La Amistad National Park. Arrange with your driver what time you will need to be picked up. Take a packed lunch and explore for the day. You will need to sign in and pay a small entrance fee upon arrival (the gates open around 0800 hours and you can confirm the opening times with staff at your lodge). Maps at the entrance show the various maintained trails leading up into the park. 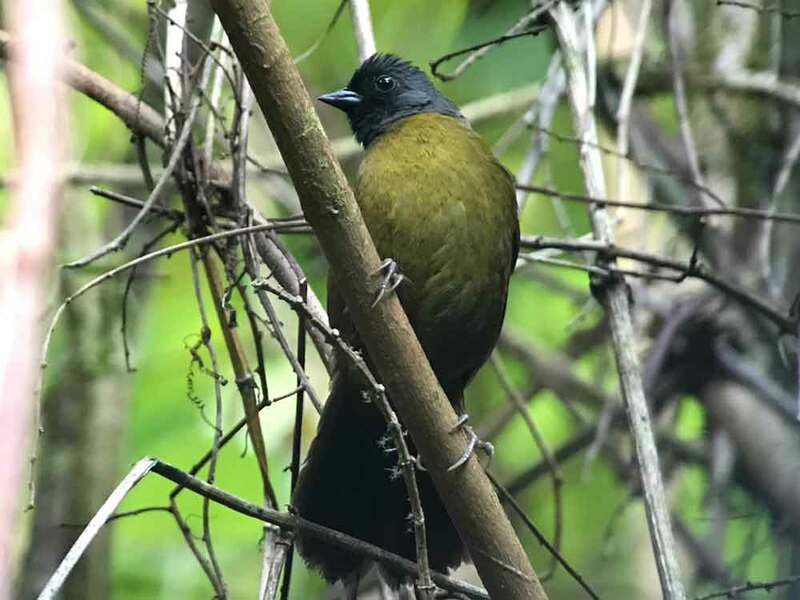 Exploring these trails will give additional chances to observe many of the species already seen in the area, as well as others such as Green-crowned Brilliant, Lineated Foliage-gleaner, Northern Tufted Flycatcher, Barred Becard, and, with luck, Ochraceous Pewee. You’ll have time to explore locally for a good part of the morning. Please just confirm with staff what time checkout is and vacate your room accordingly. Just confirm the lodge has arranged your transfer to the aiport and again expect to pay the driver directly around $50. You’ll be taken to David to arrive in good time to check in for your flight to Panama City (booked by you). Flight options include Copaair (flight no. CM21) departing at 1540 and arriving in Panama City at 1640 hours. Note: If Harpy Eagle is a priority species for you (for most it may well be!) please mention this before booking as we may be able to amend one of the days or include an extra day to try for this iconic species. 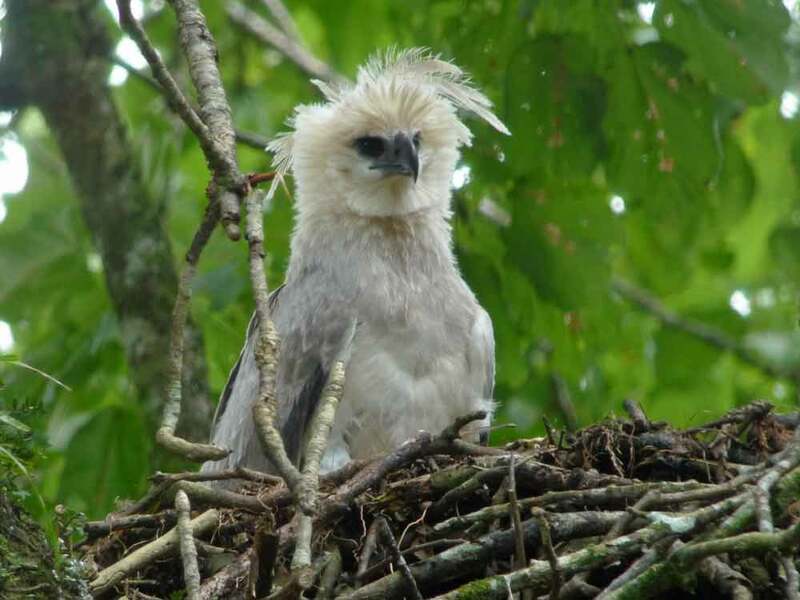 The chance of seeing Harpy Eagle is greatly increased subject to an active nest being known. All visits to Harpy Eagle habitats are undertaken with the first priority being the wellbeing of the species. Some site visits for Harpy Eagle require excellent stamina as it can, but not always, involve a very long and tiring day with a lot of strenuous walking. For groups of friends travelling together it may be possible to add an extra day or two. Tour extensions available to include Canopy Lodge and Canopy Tower (see below). Alternatively you could continue with some unique island birdwatching at the very relaxing Tranquilo Bay, Isla Bastimentos, Bocas del Toro. From here as your base you can see Snowy Continga, Red-billed Tropicbird, Brown Booby, Nicaraguan Seed-Finch and so much more and enjoy sea kayaking, snorkelling over local coral reefs and views from the canopy tower across the Caribbean Sea. If you require an extra night in Panama City to link with flights please let us know and we can provide you with a price and book this on your behalf. Note: The order of visits and places visited may vary depending on weather and other factors. All meals at Canopy Camp and non-alcoholic beverages, plus wine served with dinner from dinner on Day 1 to lunch on Day 8. 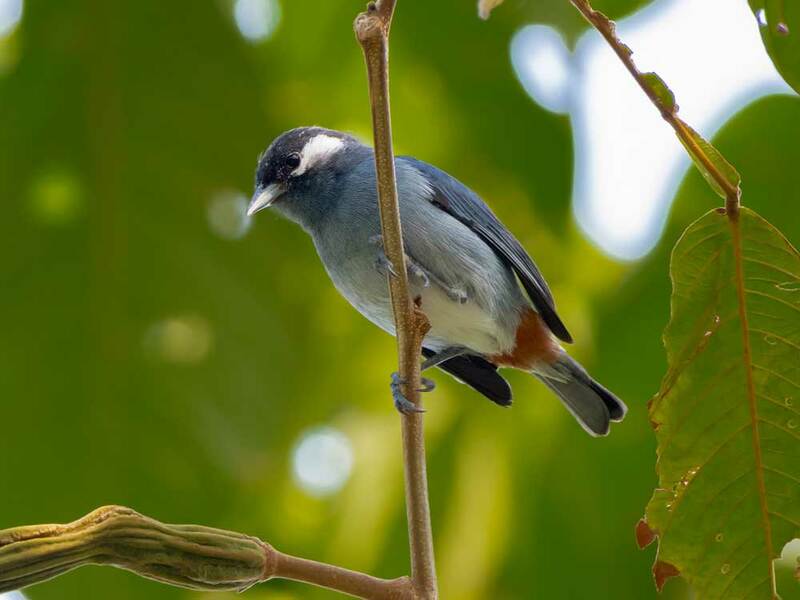 At Canopy Camp services of an experienced bird guide for two outings each day or a full day excursion (max. group size of 8) from Day 2 to Day 7 inclusive. No guide services are included during your stay at Cerra Punta. The transfers to your lodge at Cerra Punta where you would pay $50 each way in total for the journey David – Cerra Punta and Cerra Punta – David. Guide services during your stay at Cerra Punta – supplement for exclusive expert guide with vehicle to visit local sites is $200 in total per day and for further afield is $250 in total for up to 4 people (inclusive of transport) and if you wish we can book the guide in advance. Further details can be supplied on request. The booking of this itinerary is with Wild About Travel Limited and our booking terms and conditions apply. In order to protect your payments we operate a trust account in accordance with the requirements of the Package Travel, Package Holidays and Package Tours Regulations 1992. Please contact Jo Thomas at Wild About Travel (jo@wildabouttravel.co.uk) / 01480-370593 to register your interest and request a booking form. To confirm your booking please complete the booking form and send a 25% deposit by £ sterling cheque * payable to Wild About Travel Trust to the Wild About Travel Office, 25 Sapley Road, Hartford, Huntingdon, Cambs PE29 1YG. The balance payment would be due 40 - 60 days (to be confirmed at the time of booking) prior to your travel dates. * Note: Where a price is given in another currency you can pay in £ sterling. We will use the Lloyds Bank exchange rate at the time of making the deposit payment and the balance payment to convert the figure to £. If you would prefer to make a payment by internet banking please let us know and we can supply you with the bank details. We can advise on appropriate flights and timings that you may wish to book, but we do not organise or arrange flights on our customers’ behalf. You will need to make your own flight arrangements directly with a flight retailer or the airline concerned; we recommend StudentUniverse (in partnership with Gapyear.com), part of Flight Centre Travel Group. They can be contacted by completing the online enquiry form or you can call 0800 280 8947 to speak to one of their flight advisors. For any help or advice please call or email Wild About Travel and we would be happy to assist. Wild About Travel Limited is a company registered in England and Wales.